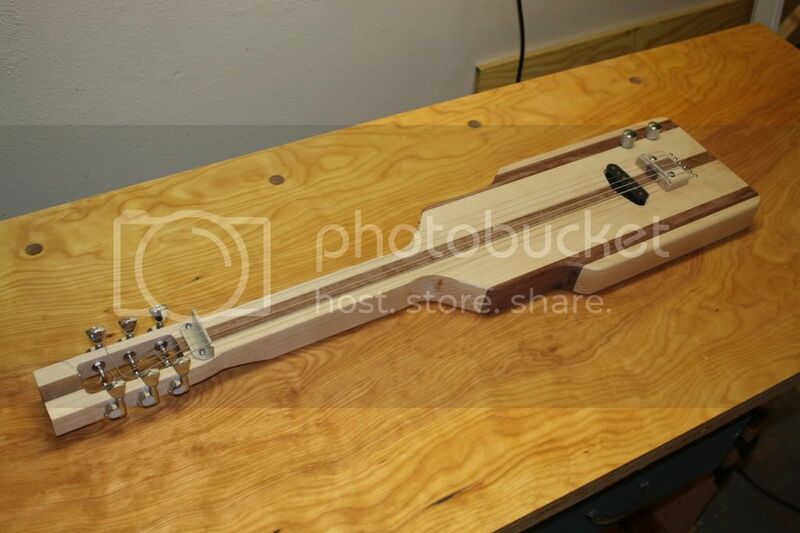 There was a lot of laminated scrap pieces left over so I opted to build a bridge instead of install a tune-o-matic type that I had bought. It's just a block with a slot and a piece of aluminum saddle sitting in the slot. It's really rough and not especially square, I may make a better one later. The strings go over the end of the bridge and thru the body. 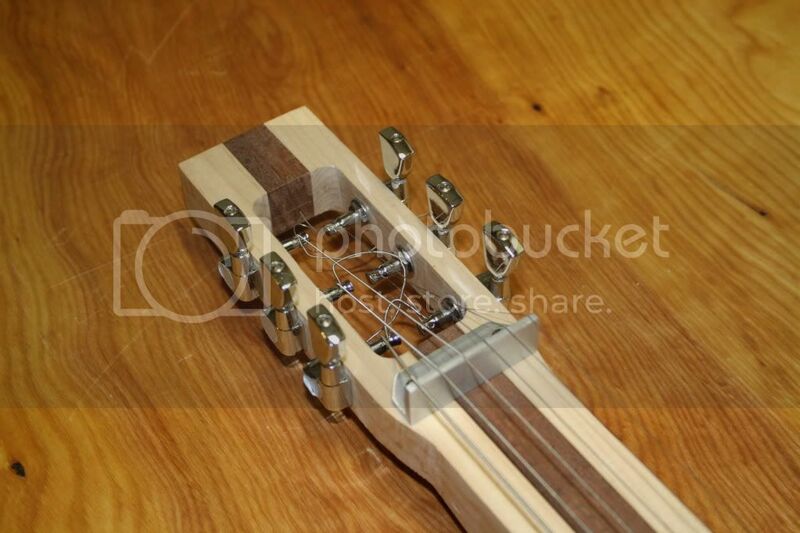 I got some of these press-in string ferrules for the top and some larger ones to hold the strings in the back. It takes a bit of force to get them in. 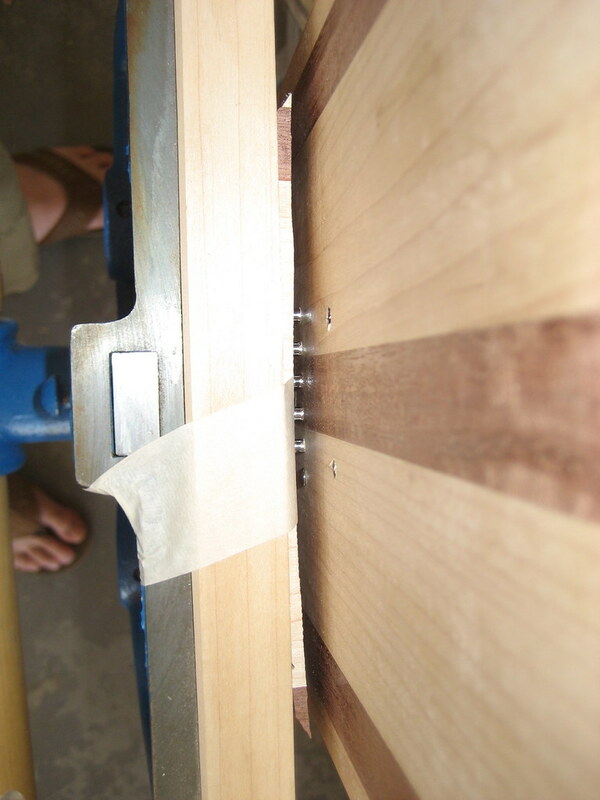 The bench vise came in handy for this one. 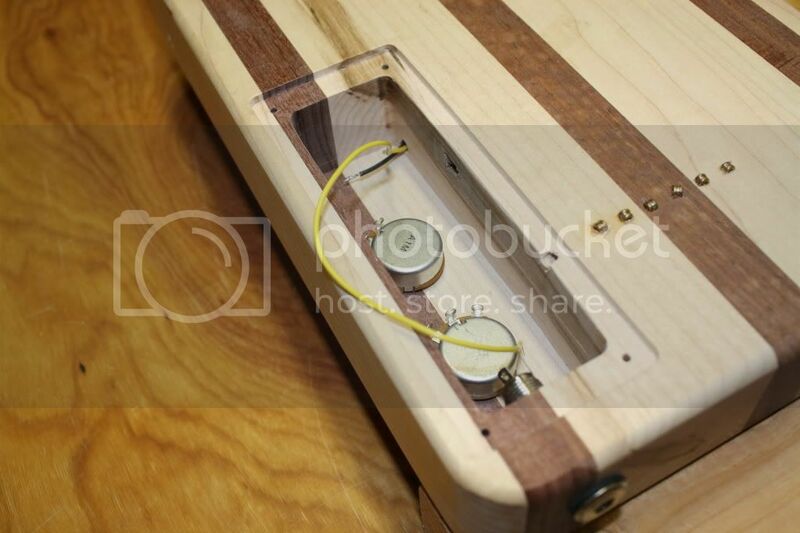 I slapped together a simple fixture to let me try out pickups and see which sounded better and where to place it. 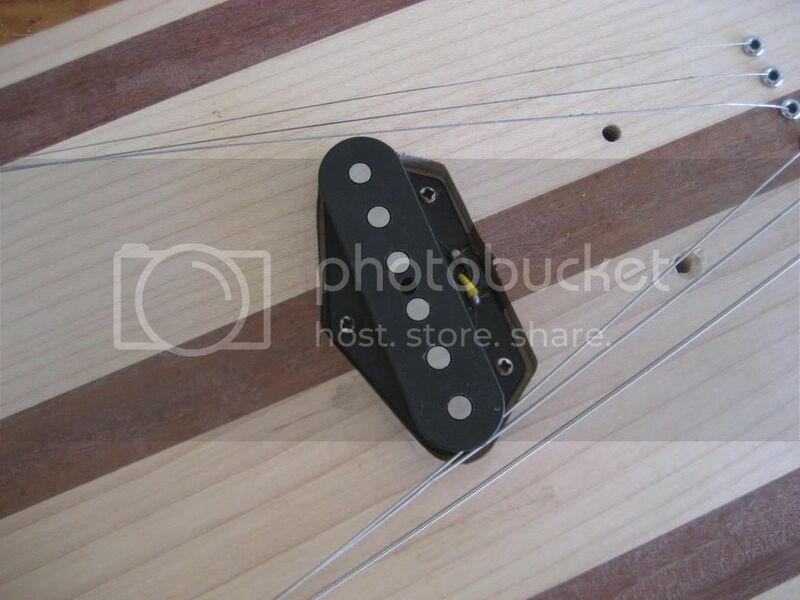 The tele neck pickup just didn't have enough treble so I'm going with the tele bridge pickup. 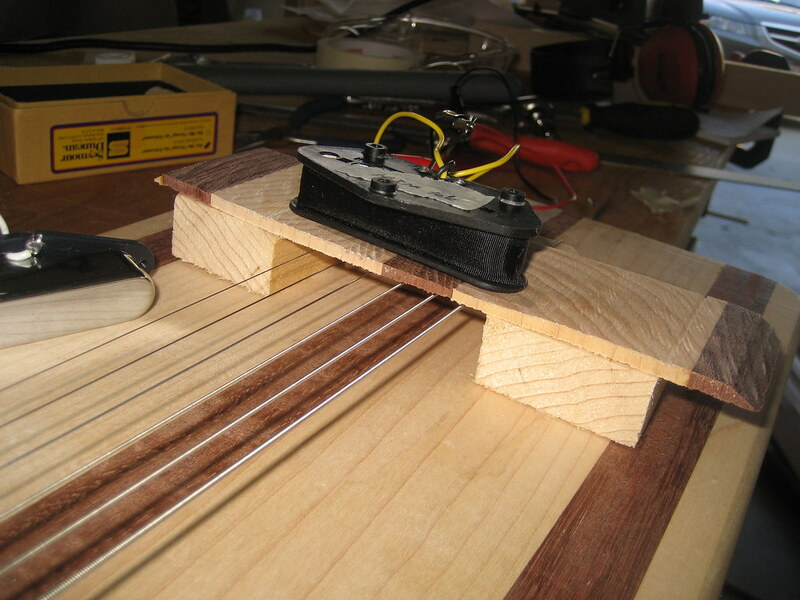 Like everyone says, the pickups work best pretty close to the bridge. 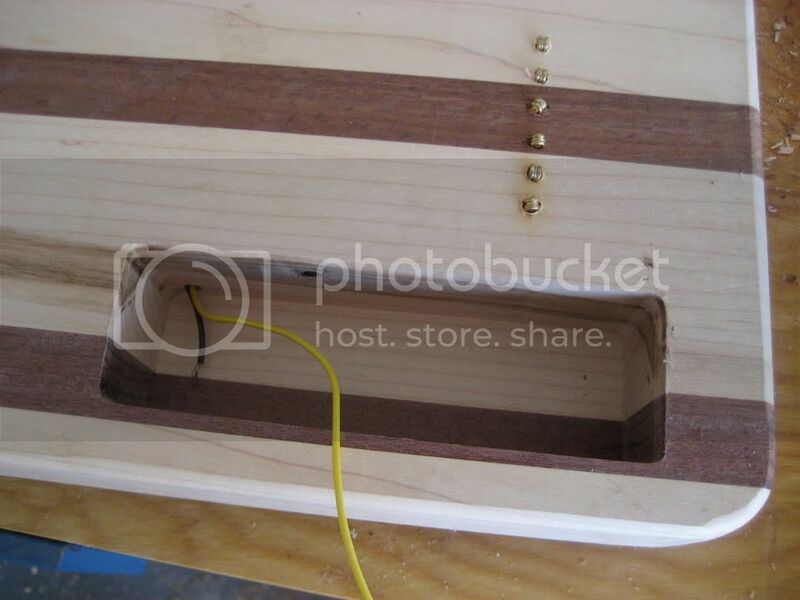 Here's a couple shots of where the pickup sits and the cavity on the back side for the pots and jack to get wired up in. There is a small hole drilled from the pickup area on the front to the cavity on the back for the pickup leads. 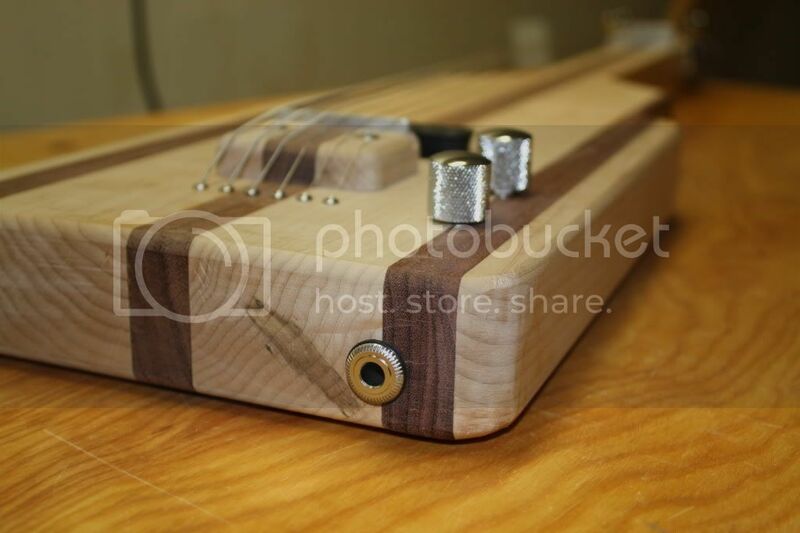 Here's a few pics of everything except for the fretboard. Its ready to be sanded and finished. 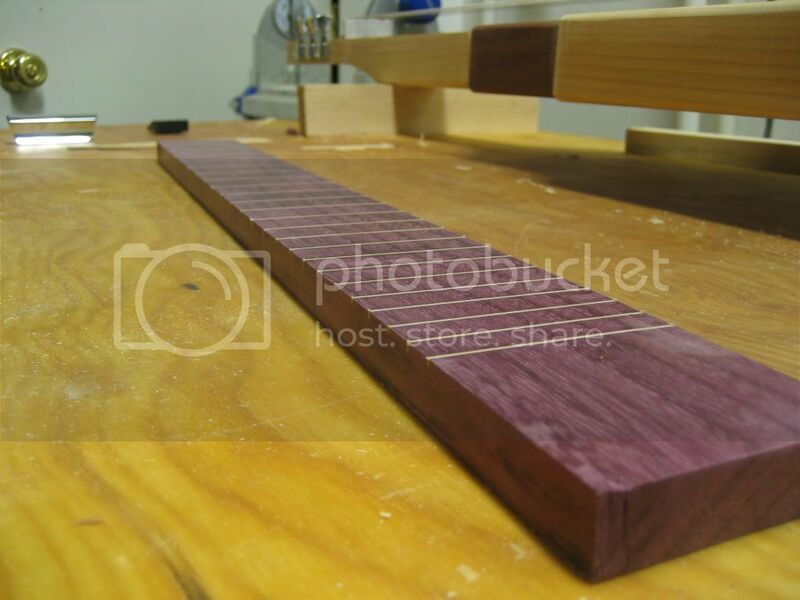 This is a purple heart plank. It's a tough material to work but fun because it's purple and it looks different from every angle. I used a cheap miter saw to cut slots in it. 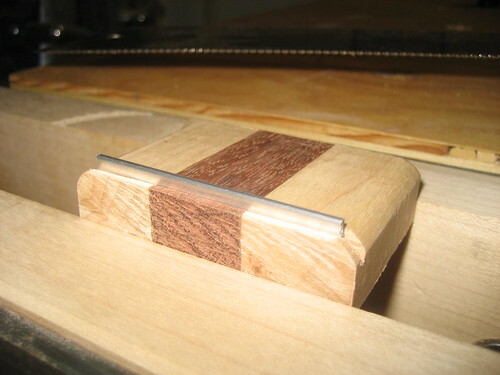 It has a kerf that is just about the thickness I was looking for. 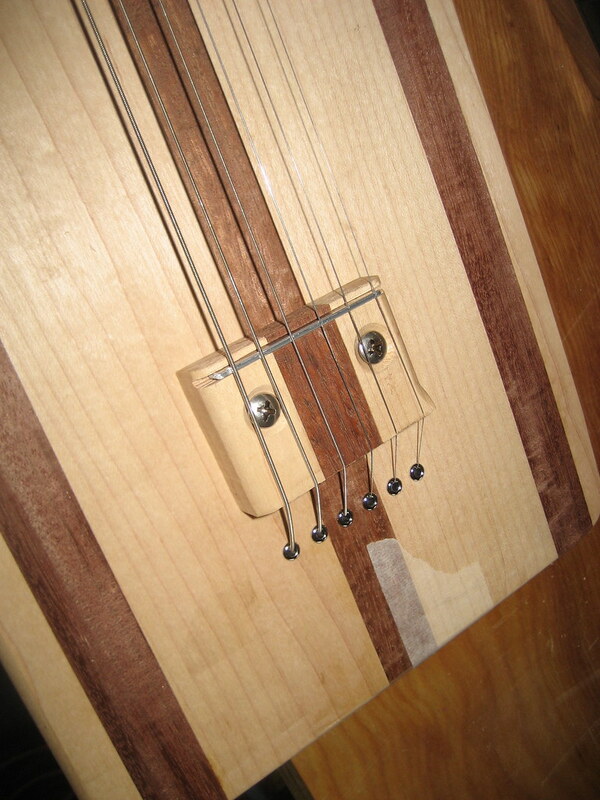 For inlays I used 2 sheets of 1/42" thick maple veneer laminated together and cut into strips. 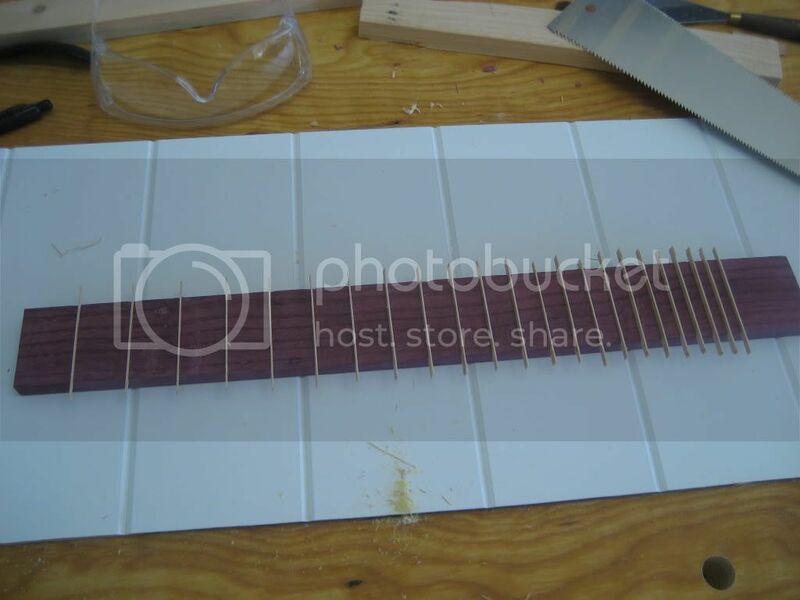 I learned later that you can buy inlay strips for lapsteels. I might do that for the next one. 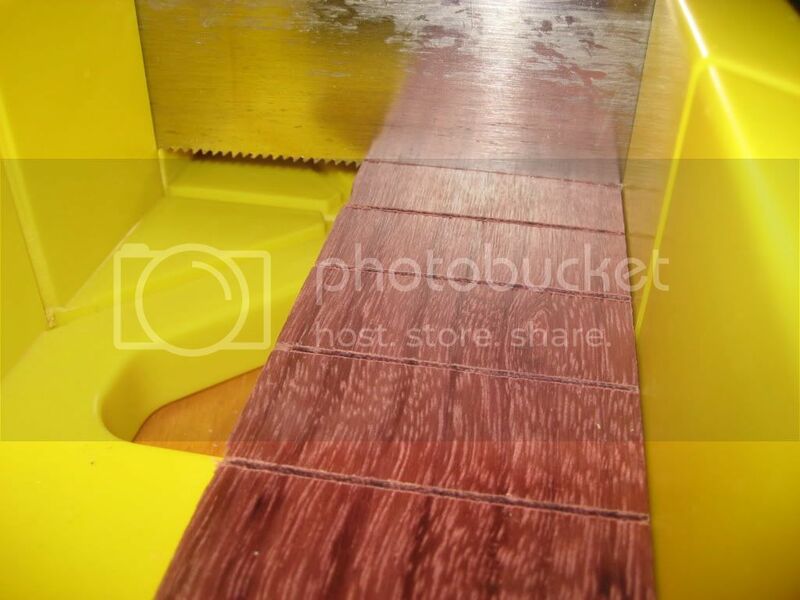 The strips were glued in place using medium viscosity CA glue. The end result is nice. 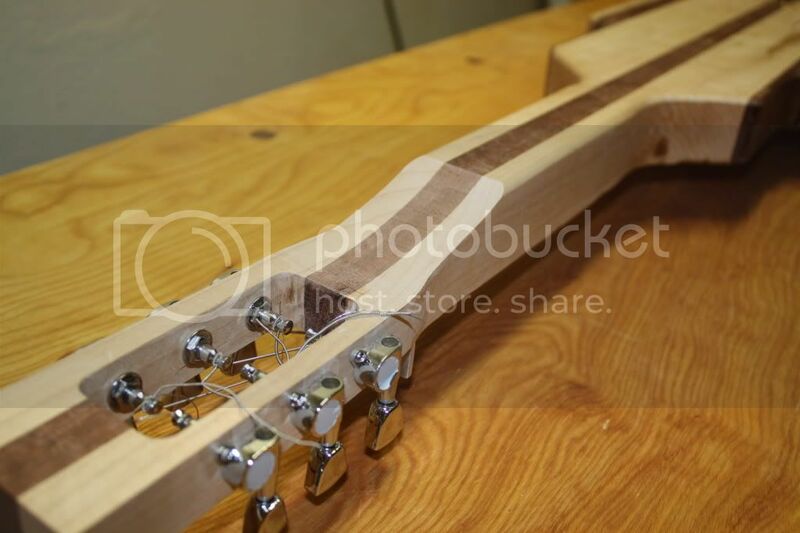 It still needs some fret markers and a final sand. And maybe some bevel at the end? Not sure yet.